It’s no secret the Nashville restaurant scene has exploded in the past few years. A new one opens practically every week, and that can make lunchtime tough. Not to fear — with 75+ years of lunch-eating experience between us, we’ve found the 13 best lunches in town. And because we are nothing if not cheap thrifty, you can score all of these for $10 or less. The restaurant has to be local. Yes, half of us eat Chipotle at least once a week, but for purposes of this exercise, chains are out. It has to be a brick & mortar restaurant in Nashville. No food trucks. No ‘burbs. Those are different lists. The selected menu item must be less than $10* before tax and tip. We don’t know how you tip and we can’t be bothered to look up the current state sales tax. 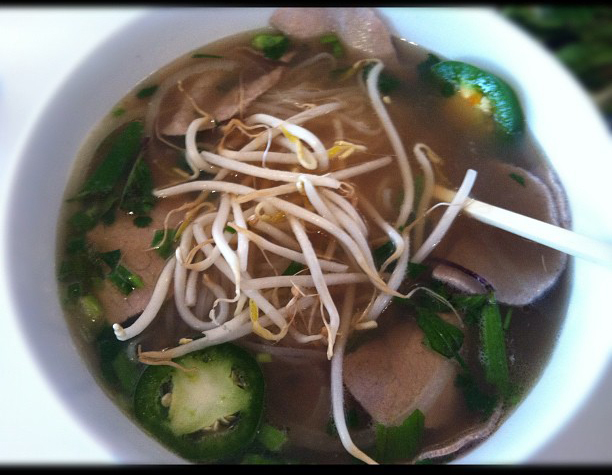 The lunch that launched a thousand lists, pho is ridiculously inexpensive, and Kien Giang’s is the best in town. (Commence hysterical arguments about the superiority of Miss Saigon/VN Pho.) The place isn’t fancy, and it’s cash-only, but the broth never disappoints. 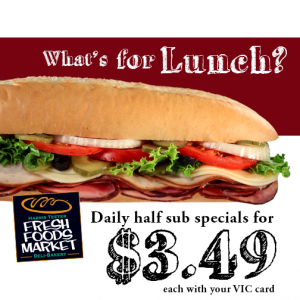 Bonus bargains: Summer Rolls (2) — $2.00; Banh Mi — $2.75. Their classic Banh Mi is simple: pork and pickled veggies on a baguette, but at $2.75, it makes the $5 footlong look like the joke that it is. There’s nothing that hasn’t been said about Arnold’s. It’s the meat & three in Nashville, and there’s no finer place to stuff your face with home cookin’. The mashed potatoes are as good as grandma used to make; the creamed corn is better. 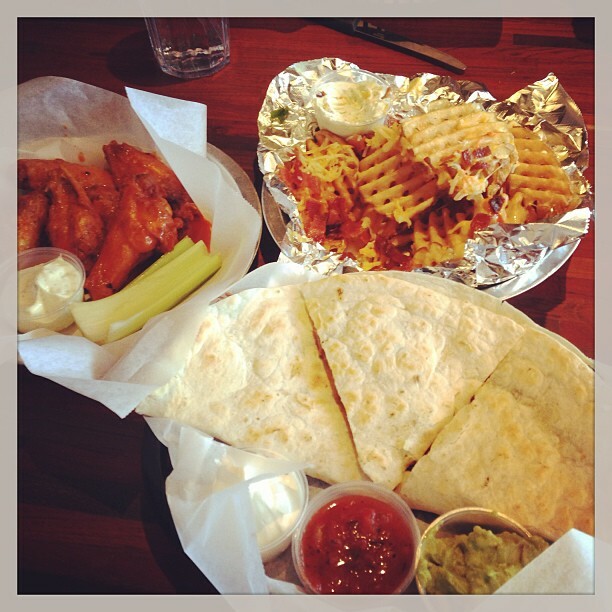 Meat & two will fill you up without making you comatose, but going for three is always acceptable. 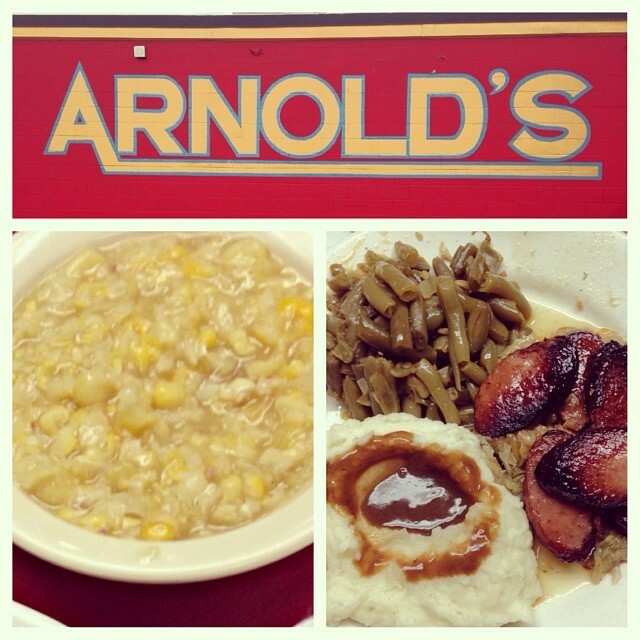 We suggest: Sausage ‘n kraut, mashed potatoes & gravy, creamed corn + cornbread. 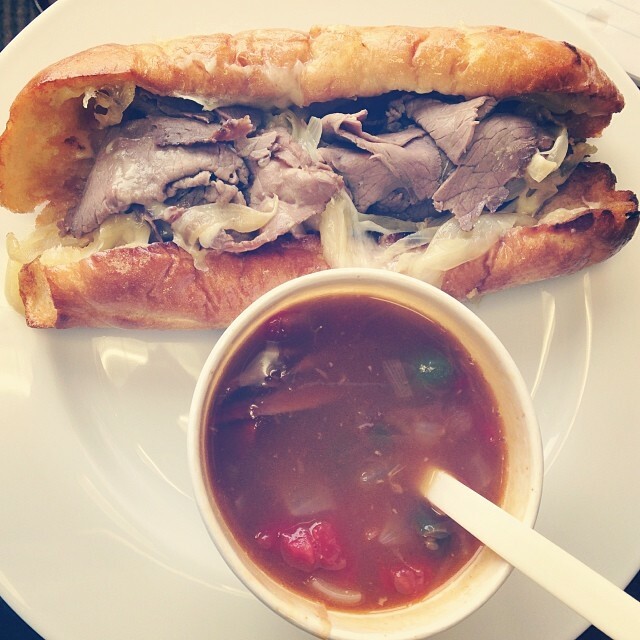 $10 sounds steep for a sandwich, but the quality of PRB’s French Dip won me over. These boys obviously know what they’re doing with their house made roast beef, but what’s surprising is how much they know about broth. The au jus the beef is dipped in makes the meal. For those lunching on the east side, Mitchell’s is a must. While a glorified club might seem like a lame choice, they’re doing enough with it to make it worth getting. Benton’s bacon is an obvious slam-dunk, but the sprouts give it the needed crunch, so for the first time ever, sprouts actually matter. Bonus point: They have a pretty great porch, so eat out there if you can. And follow them on Twitter to see what they’re serving for their weekly Wednesday dinner. Foodie bait like oysters & poutine are regularly on the menu. There are so many cheap, delicious things at NFM we had to pick just two. The Tamale Pot charges just $7 for 3 tamales of your choice – we recommend the beef, chicken & pork combo – with green chili rice and salsa verde. 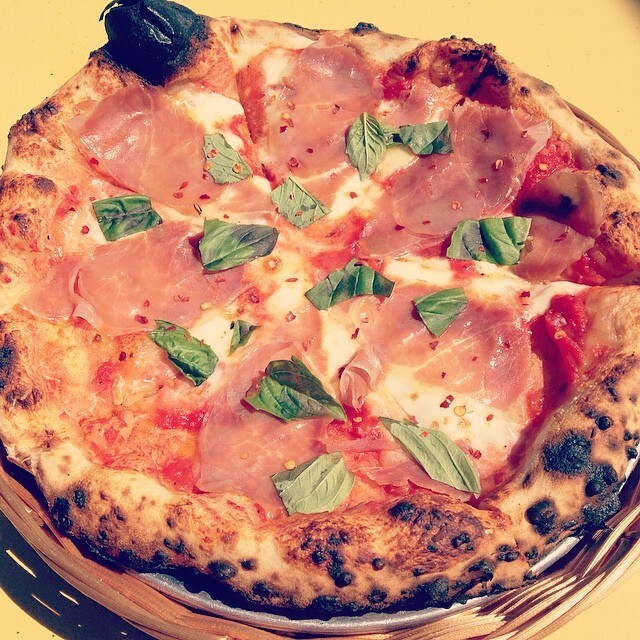 If you’re craving Italian, Bella Nashville’s Country Ham Pizza is big enough to share, and it’s a great way to work the FDA’s recommended 3 daily servings of country ham into your diet. We don’t harbor any delusions about Nashville being the BBQ capital of the world, but we know good pork when we smell it. The BBQ at Martin’s on Belmont is smoky and moist (apologies for using that word), and the cole slaw is not drowned in mayo like most. 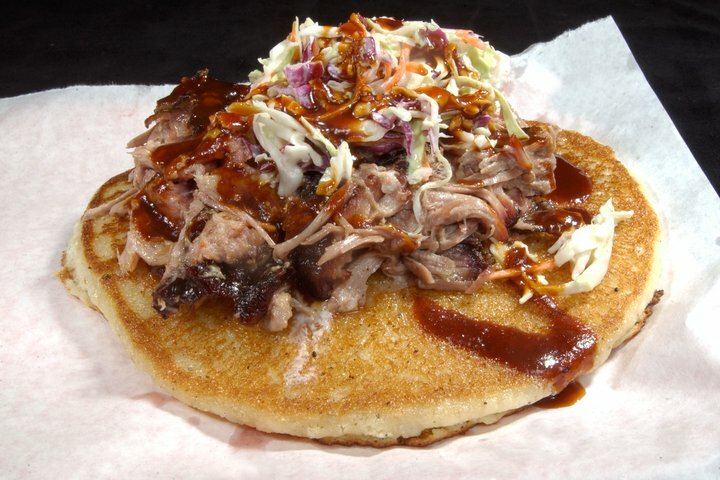 And if the name “Redneck Taco” isn’t enough to make you order that, the description should be: BBQ on top of a cornbread hoecake topped with slaw and sauce. Choice is the name of the game for lunch at Local Taco. For $7.50 you get two tacos plus chips, rice or beans, so you can make any weird combination you want. Get one Korean BBQ and one Buffalo Chicken. We won’t judge. If it’s Wednesday, we’d suggest forgoing the sides and getting two Lobster BLT tacos with Sriracha mayo; That will max out your $10 budget, but it’s one of the best damn tacos in town. 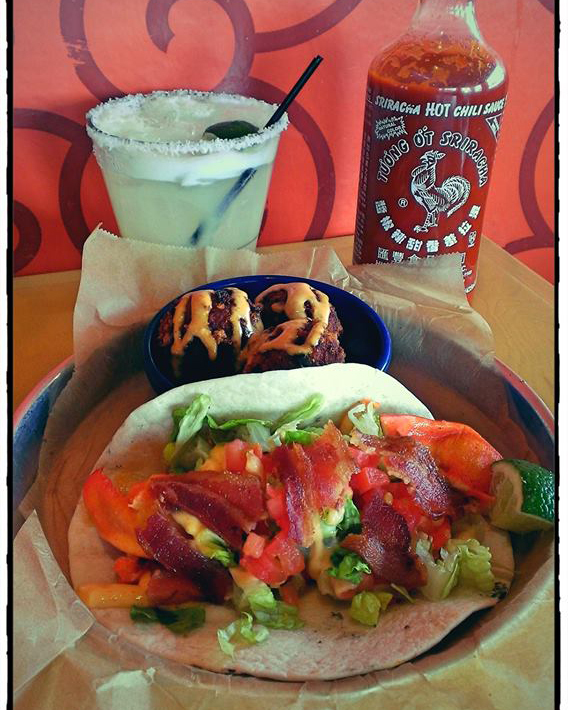 On the side: If you like things spicy, get it with Bang Bang sauce, their house-made habanero lime hot sauce. Brown’s Diner isn’t the place for your next Power Lunch, but it’s a Nashville classic for a reason. Located in what’s little more than a trailer, Brown’s has been making burgers since 1927. 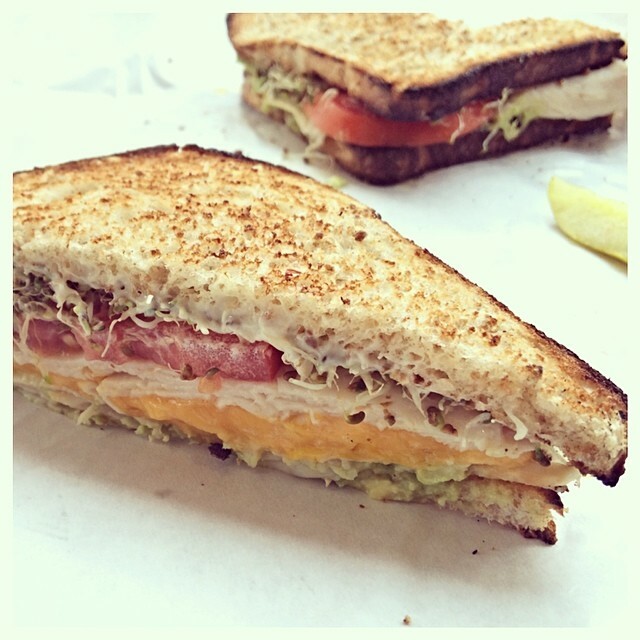 A regular will run you $4.25, but we recommend spending that extra 25 cents to add cheese. It’s a sandwich as down, dirty and old school as the place it’s made, and it comes, naturally, the ‘Merican way: mustard, lettuce, tomato, onions, pickle. It’s good to have options: If the burger doesn’t do it for you, take your pick: Everything on the menu is less than $10. Save your extra money for an ice cold pitcher of Bud. 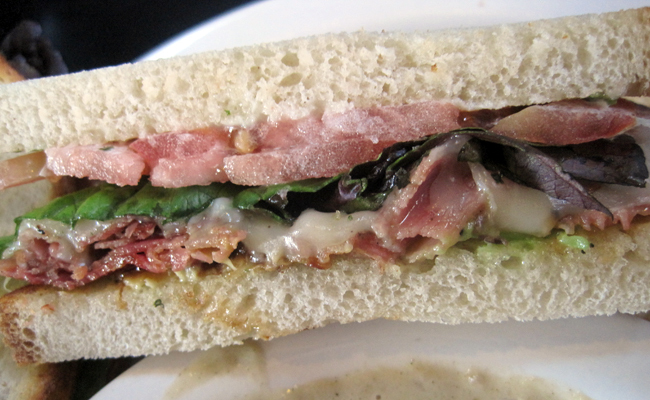 Rae’s is a downtown lunch staple for good reason. Their hot sandwiches are as flavorful as their names: Magic Mushroom, Beastie Boy, Italian Princess. The Wicked Chicken, though, is my ride-or-die: Chipotle-marinated chicken breast with green chilies, lettuce and tomato. It’s got just enough spice to get you through that long afternoon meeting. Soup’s on: If you’re there on Thursday, get a cup of their rich, spicy Beer Cheese soup for $2.06. 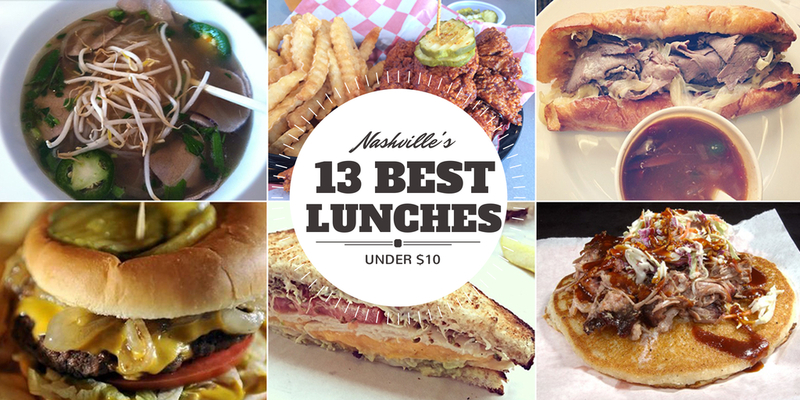 You can’t talk about lunch in Nashville and not talk about Noshville. 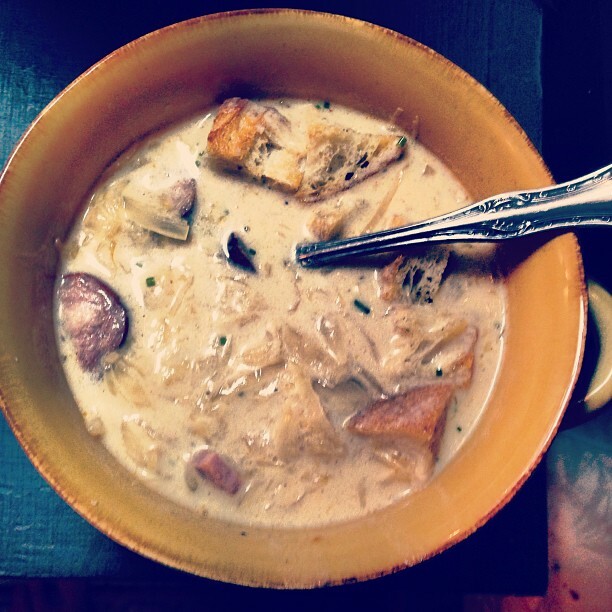 All their soups are stellar – Chicken Soup with Noodles, Sweet & Sour Cabbage, Creamy Tomato Dill – but the secret star is the Rueben Soup. It’s got all the goodness of the sandwich – sauerkraut, Swiss cheese, corned beef, rye – with the added bonus of beef broth and cream. If soup doesn’t do it for you, go with the Hot Ham & Cheese. For $9.49 you get a double-stack melt with fries. This barely squeaks by the $10 cap, but it’s almost too big for one person – almost – so we called it in. There aren’t many ways to improve upon a quesadilla, but adding house made brisket is one of them. It’s smoky, cheesy and comes with salsa, guac & sour cream for the ultimate triple dip. What diet? If you’ve given up on calorie counting, swap the quesadilla for Ranchero Fries: cheese fries topped with ranch and diced tomatoes. At $7.95 for a full order, you’ll need to bring a friend, or at least your stretchy pants. Great coffee is sometimes accompanied by mediocre food; not so at Frothy Monkey. All the food is fresh and tasty, but our lunchtime pick is the PMP: prosciutto, mozzarella and provolone with basil, mayo, and avocado on sourdough. Salty, creamy and herby, it comes with a side of chips and salsa, though you probably won’t need them. It’s illegal to talk about food in Nashville and not mention hot chicken, so here it is. 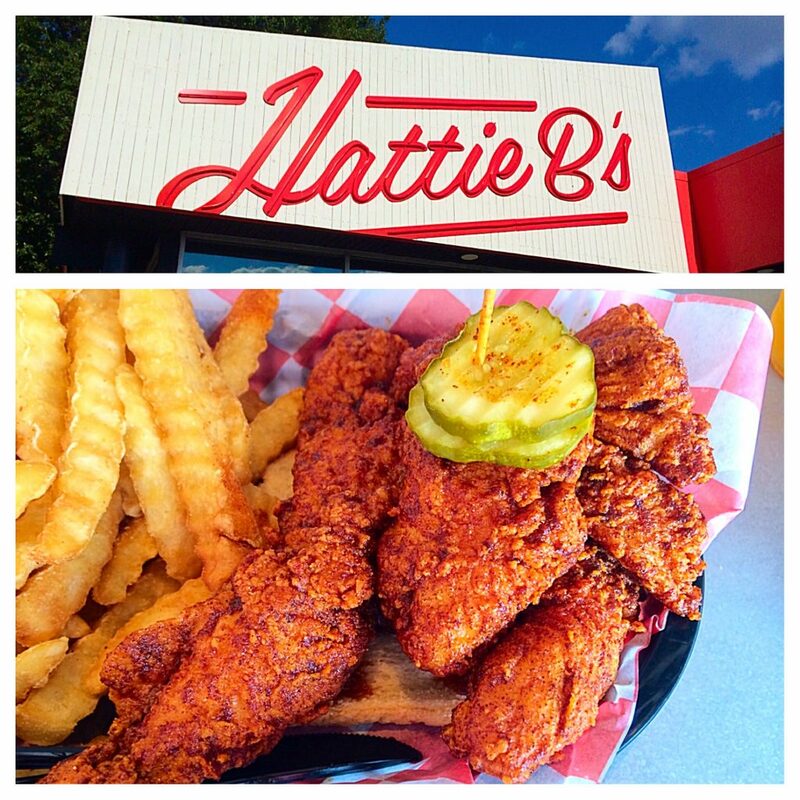 For $9 at Hattie B’s, you get three tenders, 2 sides, Texas toast and pickles. We suggest hot with fries, pimento mac & cheese and a side of honey mustard (sounds weird; tastes glorious). And yes, we picked chicken that’s not bone-in. Hattie B’s has some voodoo going on that makes their boneless chicken crazy tender. Who are we to ask questions? Pro tip: Hattie B’s is nearing Pancake Pantry levels of line forming (except their food actually deserves the hype). Get there right at 11 or wait until after 1:30 to avoid the wait. 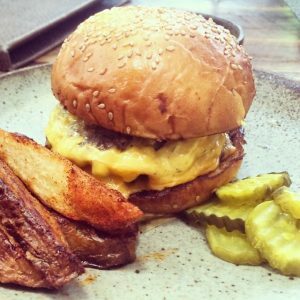 There is no better Cheesburger than the one at Husk. At just $12, it comes with potato wedges (essentially giant seasoned steak fries), but the real deal is the sauce. Sean Brock is no moron, so the recipe is secret, but it definitely involves Duke’s mayonnaise, yellow mustard and pickle juice. It’s sloppy, creamy and sour and I would put it on everything if I could get my hands on a bottle. If you’re having one of those days where you’re just eating breakfast at lunch, Portland Brew is your spot. 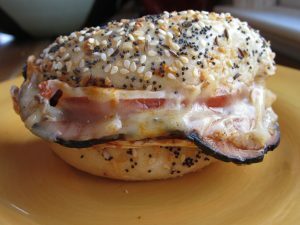 All of the breakfast sandwiches are solid, but The Salem is the way to go: Spicy egg, tomato and provolone cheese on the bagel of your choice. The egg is fried (as God intended), and it’s and covered in Frank’s RedHot. We add ham because why not? You will get sloppy, and you will like it. The “no chains” policy got this ousted from our list, but this deal is too cracktastic to ignore. You can get any whole sub at the Teet for $6.99, and there’s no way you can eat a whole in one sitting. The truly insane deal, though, is the half sub of the day for $3.47 OR, for $4.99, the half sub + a bag of chips + tea or lemonade. On a scale of 1 to ridiculous, this deal goes to 11.